Save 65% off Aveeno Body Wash with a new coupon in Sunday’s paper and an Ibotta offer! 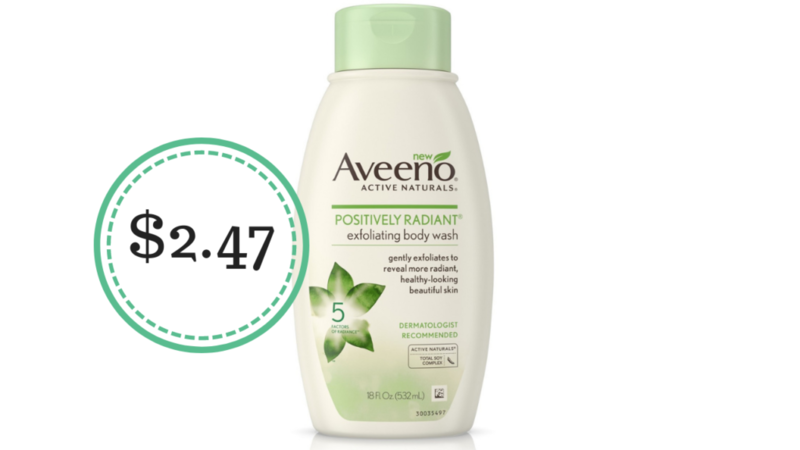 Right now Walmart has Aveeno Positively Radiant body wash on roll back for $6.97 a bottle, so it’s the perfect time to pair these offers together. Note: The Ibotta offer is only good on the Positively Radiant Exfoliating Wash.